Need an extra bottle of the bubble fluid? 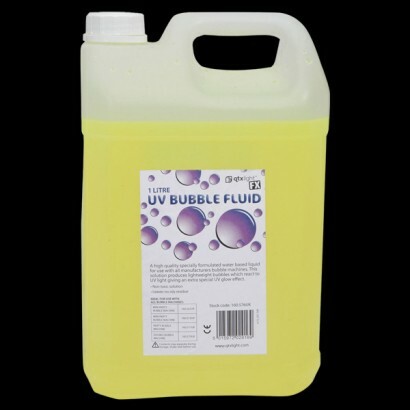 Buy a bottle of 5 litre bubble fluid to use with your Bubble Machine! The product is ok. I used the best UV LED lighting and it wasn't amazing but good enough. There was more glow when the bubbles burst on people's clothing or on the floor - however this stained everything. It does wash off though.